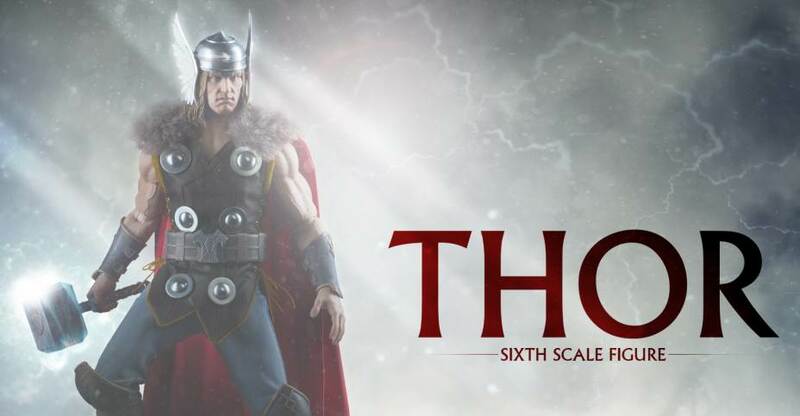 The next character joining the Marvel Comics Sixth Scale Figure line up is Thor! 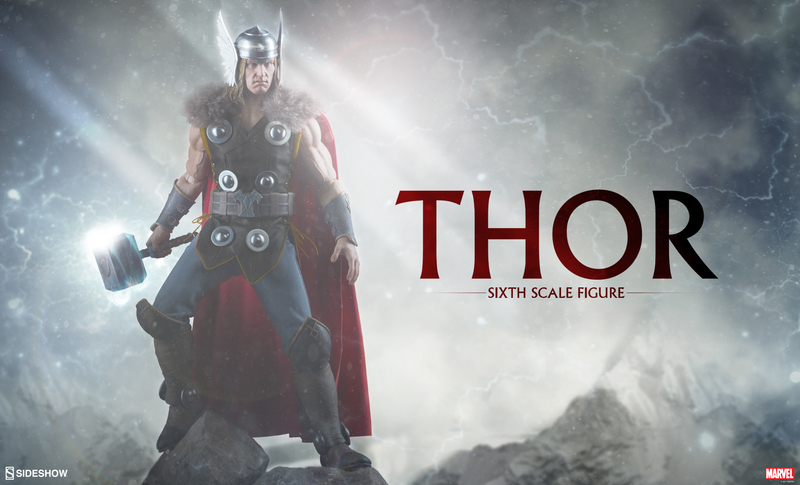 A new preview has been posted by Sideshow Collectibles, giving fans their first look at the 12″ tall figure. 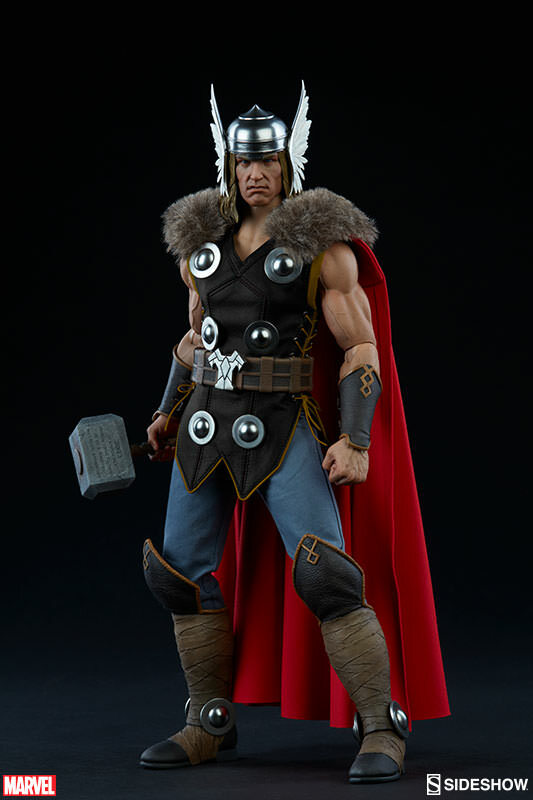 Thor joins up with previously revealed figures such as Ghostrider, The Punisher, Wolverine, and Daredevil, and Deadpool. The figures is scheduled to go up for pre-order on Thursday, May 25th sometime between 12:00 PM and 3:00 PM Pacific Time. Look for more details and photos early next week. Click the banner image for the full preview photo.